Looking for a satisfying and keto-friendly breakfast or snack? 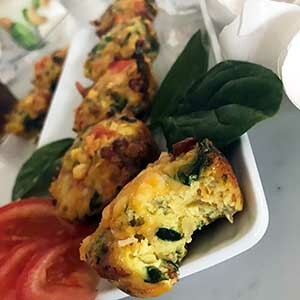 Try these tasty Keto Egg Muffins! With only 5 grams of carbs per serving, they’ll fill you up without kicking you out of ketosis. These muffins are part of my ketogenic meal plan. It’s an easy-to-follow keto meal plan that is optimized with the right macro ratios already calculated for you so that all you need to do is make your meals. I’m a big fan of egg muffins. 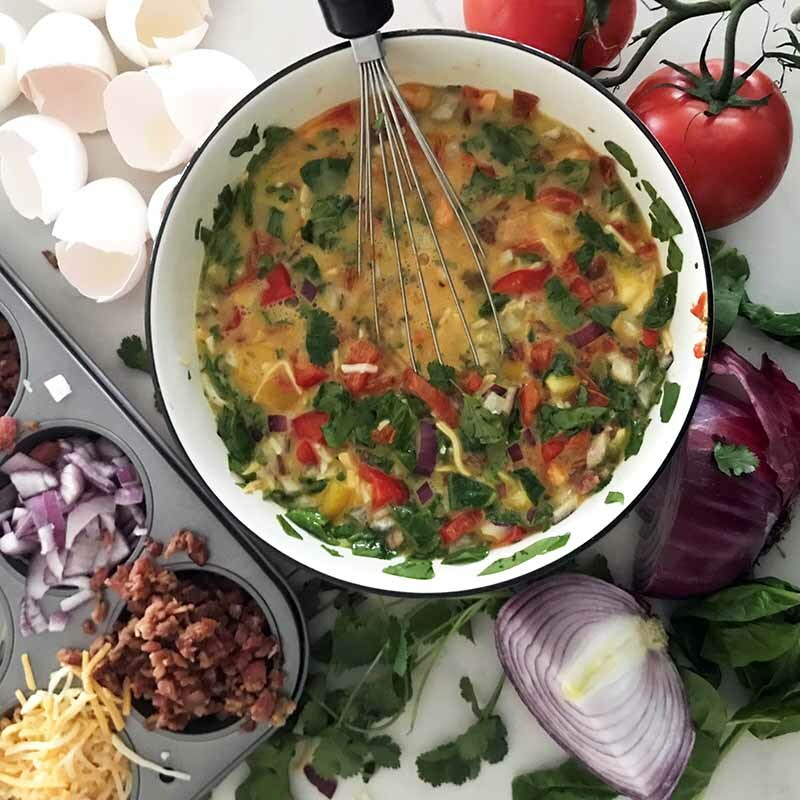 They’re basically mini, portable omelets that you can conveniently make in the oven using your favorite omelet ingredients. 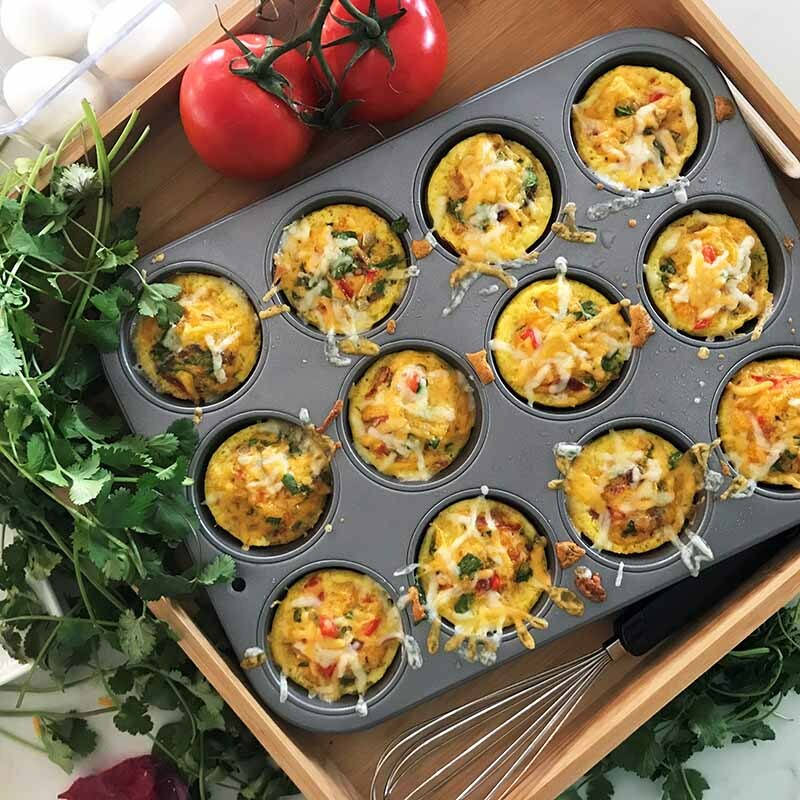 No need to worry about flipping the omelet at just the right time – with egg muffins, all you have to do is load your ingredients into a greased muffin tin and pop them in the oven! 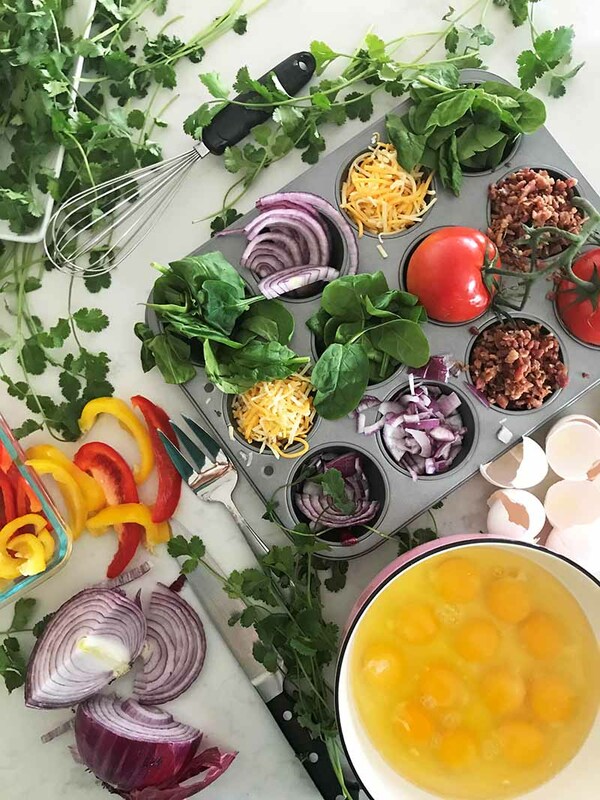 The vegetables help give the muffins a fresh flavor and keep them feeling a bit lighter than egg muffins that contain only eggs and meat. Even better, these delicious Keto Egg Muffins couldn’t be easier to make! All you have to do is combine the ingredients in a large mixing bowl, evenly portion the batter into six muffin slots, and place the muffin pan in a preheated 400°F (200°C) oven for about 12 minutes. When they’re done, sprinkle the still-warm muffins with shredded cheese (which will promptly melt – yum! ), let the muffins cool, then serve. In less than 30 minutes, you’ll have keto-friendly breakfast or snack ready to go! How many muffins are in a serving of Keto Egg Muffins? This recipe makes three servings, and each serving will give you two muffins. Don’t be fooled by the idea of “only” eating two muffins. Keto Egg Muffins contain a moderate amount of calories and plenty of fat – 37 grams per serving! There are enough keto-friendly fats in each serving to keep you satisfied until your next meal. How many carbs are in a serving of Keto Egg Muffins? Each muffin serving contains 5 grams of carbs and 1 gram of fiber, which gives you 4 grams of net carbs (carbs minus fiber) per serving. 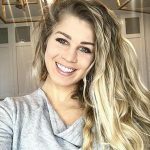 Their low carb count makes them an ideal choice for a keto meal. Of the 1⅕ cups of shredded cheese the recipe calls for, reserve about 3 tbsp. of cheese to sprinkle on top once the Keto Egg Muffins have baked. Instead of putting the batter directly in the muffin tin, you can use muffin cups to line the muffins to save time during clean up. If you’re on the keto diet (or if you just want a really good egg muffins recipe), I think you’ll love the flavor of Keto Egg Muffins. Enjoy! For more healthy low-carb breakfast recipes, please check out my roundup of the best low-carb breakfast ideas for diabetics. When you’ve tried these Keto Egg Muffins, please don’t forget to let me know how you liked them and rate the recipe in the comments below! 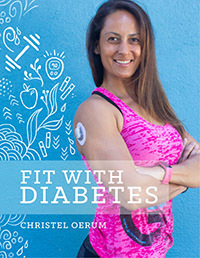 If you live with diabetes, please check out our guide to the ketogenic diet and diabetes. 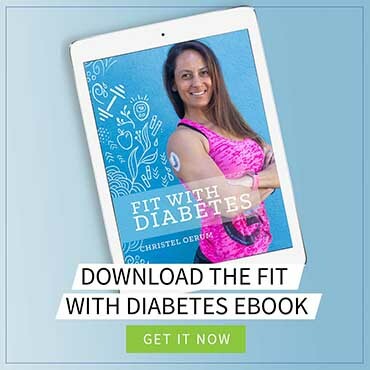 It explains everything you need to know about following a ketogenic diet when you live with diabetes. Looking for a satisfying and keto-friendly breakfast or snack? Try these tasty Keto Egg Muffins! They’ll fill you up without kicking you out of ketosis. Separate the egg yolks from the whites into a large mixing bowl. Discard or save the egg whites for another occasion. Wash and finely chop the mixed greens, tomatoes, and onion. Add to the egg yolk mixture. Add bacon, cheese, unsweetened almond milk, and garlic salt to the large mixing bowl with the veggies (personal recommendation: Keep out about 3 tbsp. of cheese to sprinkle on top once muffins have baked). Mix well. Grease the muffin pan with oil and pour a ¼ cup + 1 tbsp. of the egg mixture evenly into the muffin slots, which should yield 6 muffins. NOTE: You can use muffin cups to line the muffins to save time during clean up. Pop the muffin pan into the oven for about 12 minutes or until the edges are slightly a toasty brown. Immediately after taking the egg muffins out of the oven, sprinkle tops of muffins with remaining cheese. Let cool for 2 minutes before serving. OMG, why so much sodium??? These are amazing! I used swiss cheese, spinach, dry mustard, garlic powder (no tomatoes -i was out). Thank you so much for sharing! This recipe looks awesome! I love how this can be made early in the week for quick breakfast on the go! Would using the whole egg drastically change how these turn out? Just wondering why just the egg yolks. Thanks!! These are delicious. I added blue cheese in with the cheddar and added a little hot sauce. Will definitely make these again. Filling and tasty! Thanks for the great recipe! I made a batch today for breakfast. They turned out to be very delicious. Thanks for the recipe. Have you tried freezing these and reheating in a microwave? I know they won’t be as good fresh. I am traveling to conferences a lot over the next two months, so I am thinking of making these the night before travel, freezing them and packing them in my cold sack, storing them in my hotel fridge, and microwaving each morning while at the conference. I haven’t tried freezing these egg muffins, but have tried freezing a very similar recipe and it worked great. I am pretty sure you can freeze and re-heat these as well.